Lil Uzi Vert says he is "the flow" after being accused of jacking the DMV style. Last week, Lil Uzi Vertmade his triumphant return to the rap game several months after easing himself into retirement. It was never the Philadelphia star's idea to quit making music. His label, Generation Now, had reportedly been halting his steady flow of releases after "New Patek" came out in the summer, which led to Uzi giving up altogether. The young rapper is fighting back though, dropping "Free Uzi" and telling fans that he's not taking no for an answer anymore. After his new song appeared online, GoldLink took a listen and noticed that Uzi was employing some signature DMV flows, deciding to call him out on his social profiles. It took a few days but Uzi has finally addressed the biting accusations with his own remarks. After telling fans that he won't let the negativity get to him anymore, he chose to speak on the allegations about him stealing flows, bigging himself up at the same time. 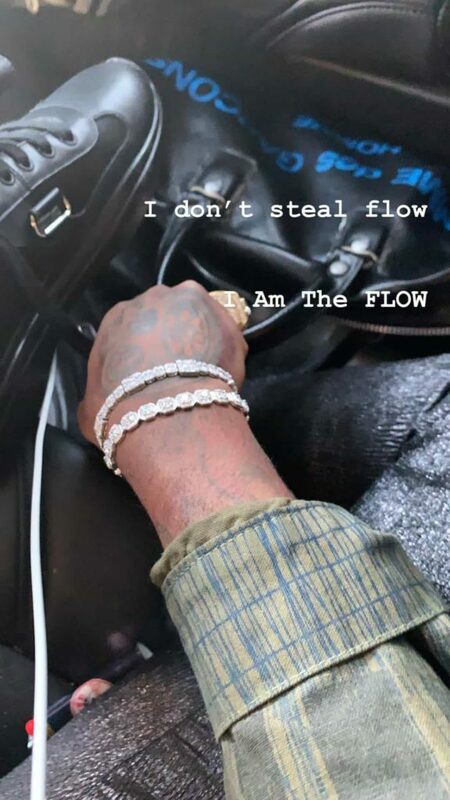 "I don't steal flow," wrote Uzi. "I Am The FLOW." The newfound confidence that Uzi is showing online is refreshing after so much time had passed with him basically being an afterthought to his own team. Now, Uzi is taking his future in his own hands and he's ready for this next stage of his career. Hopefully, everything works out in the end. If his long-awaited album Eternal Atake does end up releasing imminently, take a look at our list of things we want from it.